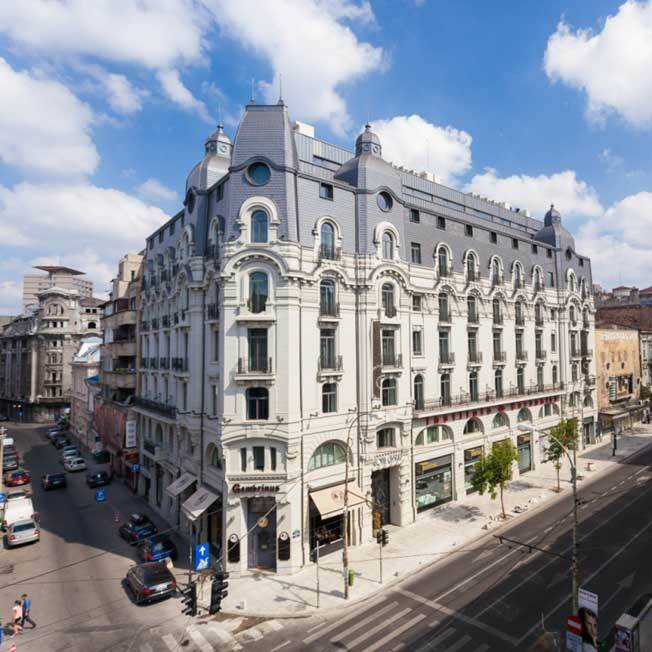 The DoubleTree by Hilton Hotel Bucharest (259 RON – 531 RON) is located in the heart of Bucharest, in Unirii Square, on Nerva Traian Street, close to the Historical Center. This luxurious 4* hotel features matrimonial suits, as well as double rooms with king-sized beds. The rooms are decorated in an elegant manner with modern furniture. You can have breakfast at their restaurant located on the top floor. Hilton Hotel chain also has the best hotels in Romania. 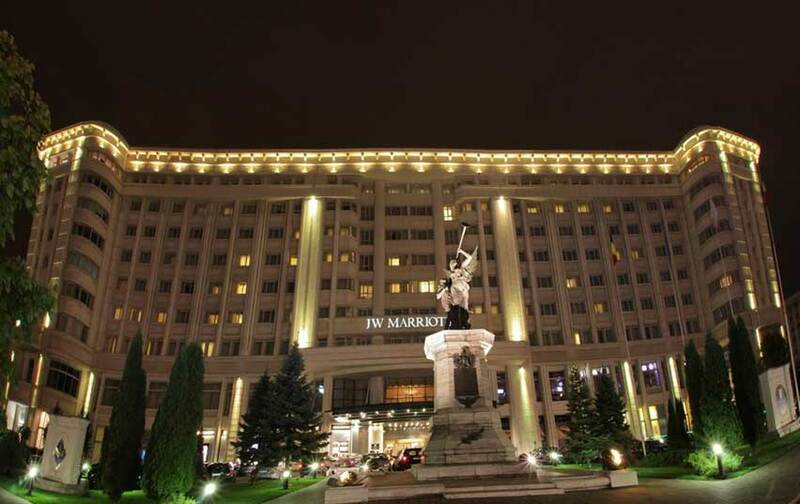 The JW Marriott Bucharest Grand Hotel (439 RON – 998 RON) impresses the tourists with its elegance and friendly staff. You can find it on Calea 13 Septembrie Street, next to the Palace of Parliament and Cotroceni Stadium. 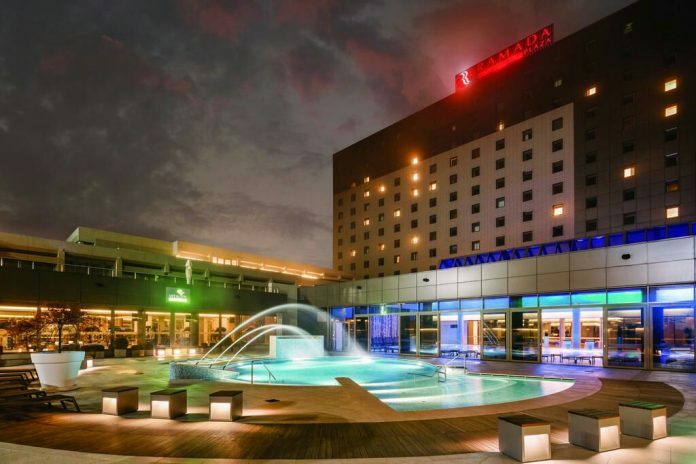 This huge 5* hotel features its own casino, pool, fitness gym, spa center and shopping gallery. It has 402 rooms that can also be rented for business meetings. Marriott Hotel is the number one spa hotel in Bucharest. JW Marriott hotels can also be found in Italy. There are the best hotels in Romania. Cismigiu Hotel (339 RON – 806 RON) is the ideal place for tourists who want to be surrounded by nature right in the middle of Romania’s capital city. You can find this great hotel on the Queen Elizabeth Boulevard. Unlike other 4* hotels, this one is very old and 100% Romanian. It blends Art Nouveau architecture with modern designs. 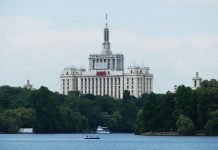 Cismigiu Hotel is very close to Cismigiu Gardens where you can find Cismigiu Lake and it’s also 10 minutes away by foot from Dambovita River and Izvor Park. 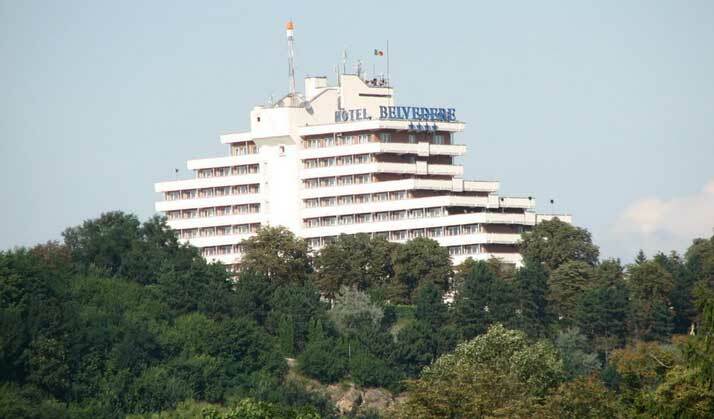 Belvedere Hotel (205 RON – 275 RON) is one of the best hotels in Romania. Its location is on Calarasilor Street in Cluj Napoca. It’s ranked on the 4th place when it comes to the best spa hotel. Staying at Belvedere will offer you the opportunity of waking up with an amazing view of Cetatuia Park and Somes River. This 3* hotel has 156 rooms decorated with modern furniture. The great thing about this hotel is their breakfast-included offer. Belvedere has its own spa, pool, restaurant and bar, so that you can relax and enjoy the city. Transilvania Hotel (209 RON – 275 RON) is located right in the centre of Cluj-Napoca. This hotel is 5 minutes away from the Caragiale Park, the National Museum of History of Transylvania, the Emil Racovita Speology Museum and other must-see touristic attractions. This 3* hotel has only 28 rooms available for renting. It’s great for families or couples who want a quiet and peaceful holiday close to the city center of Cluj-Napoca. NH Timisoara (213 RON – 349 RON) is a beautiful 4* hotel near the Queen Mary Park and Bega River in Timisoara city. It features spa, restaurant and workout room in order to make you feel comfortable and spoiled. It’s the number one luxury hotel in Timisoara, so it deserves your attention if you plan a holiday to this city. Unlike best hotels in Romania, NH Timisoara Hotel features a great mountain view. Kronwell Hotel (426 RON – 916 RON) is rated as the number one romantic hotel and also number one spa hotel in Brasov. It’s the newest 4* hotel in the region. It offers luxurious rooms with modern design, sauna, steam bath and fitness studio. You can enjoy the local Transylvanian food at their restaurant called Couchette Bistro. They also serve ‘a la carte’ food for culinary experts. Kronwell Hotel is located near the Sportive Park and 10 minutes away from Brasov’s railway station. Vega Hotel (394 RON – 3255 RON) is the ideal place for sea lovers who come in Constanta to have a great time at the beach. Vega Hotel is a 5* beach hotel located on the Mamaia Boulevard that features 125 rooms, pool, bar, lounge, fitness center with gym and spa. Tourists will be thrilled by this seaside resort because it’s very close to the coastline of the Black Sea. It also has a private Blue Flag certified beach. The hotel offers free sunbeds and umbrellas for the tourists and also free breakfast. Vega Hotel is suitable for families with small children. It provides an outdoor supervised kindergarten and lots of children activities. No matter what holiday destination you choose, Romania is a beautiful country with lots of old cities to visit. Don’t worry about your accommodation because Romanian hotels provide high quality services at modest prices, clean modern rooms and friendly staff.